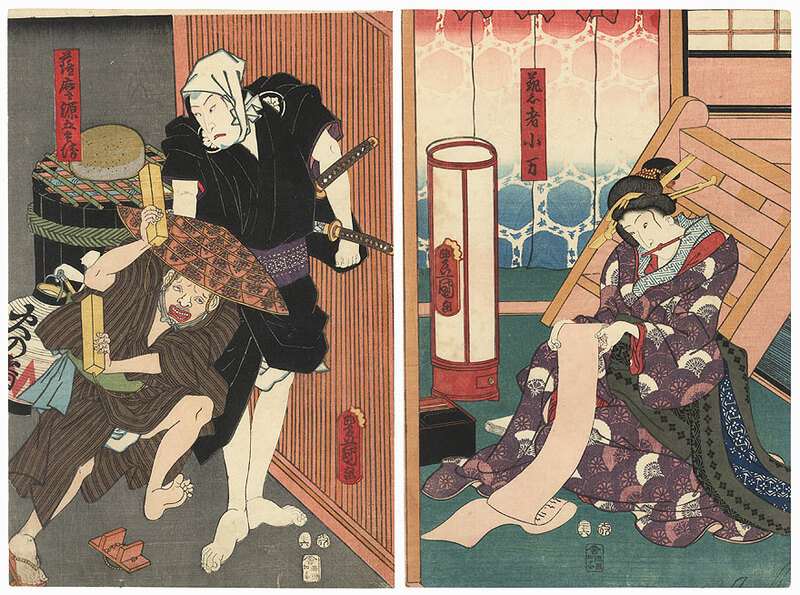 Comments - Interesting scene from the kabuki play commonly known as "The Five Great Powers the Secure Love" (Godairiki). Here, the geisha Koman smiles as she rolls up a long letter, a brush caught between her teeth. A writing set rests on the floor next to a lamp, and wooden stairs lead to an upper room at right. 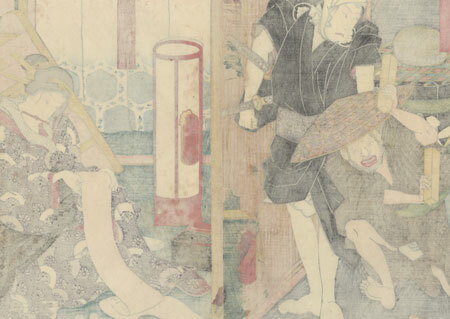 Outside the door at left, Koman's sweetheart, the ronin Satsuma Gengobei grabs a man by the back of his neck, pulling him backwards, a sandal falling off his foot. He carries a lantern in one and a set of wooden clappers. 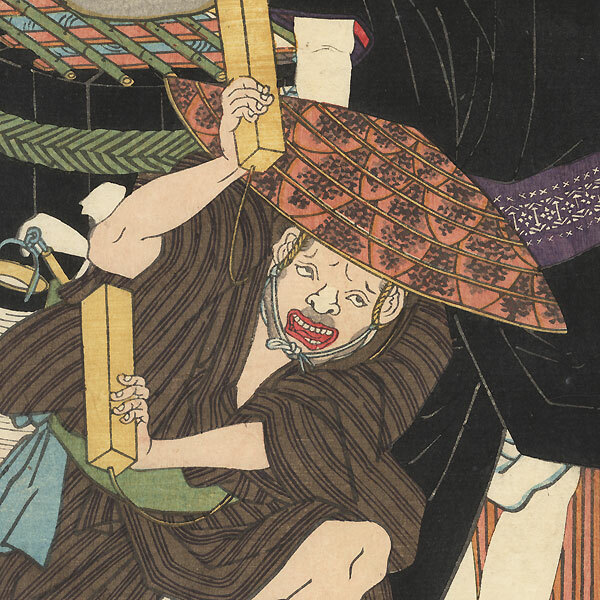 Gengobei scowls angrily, a white scarf tied around his head and his black kimono tucked up at the back for easier movement. The actors include Seki Sanjuro III as Satsuma Gengobei and Iwai Kumesaburo III as Koman. Nice expressive figures in a handsomely detailed setting. Condition - This print with excellent color and detail as shown. Two separate panels. Slight toning, a few creases and spots, slight rubbing at edges. Please see photos for details. Good overall.